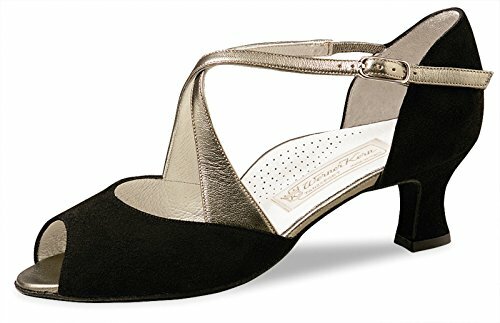 Elegant Werner Kern Model Gaby shoe in Black Suede and Antik Leather. The small toe opening prevents the foot from sliding. A perfect fit is ensured with the adjustable exterior straps and the individually adjustable leather-covered elastic band on the inside. Soft suede leather, combined with laminated nappa leather that provides a particularly gentle and supple fit.